I established my small cattery in 2010 and registered it with the World Cat Federation (WCF) and more recently with The International Cat Association (TICA.) I breed Bengal cats at the highest standards to produce the best cats possible. 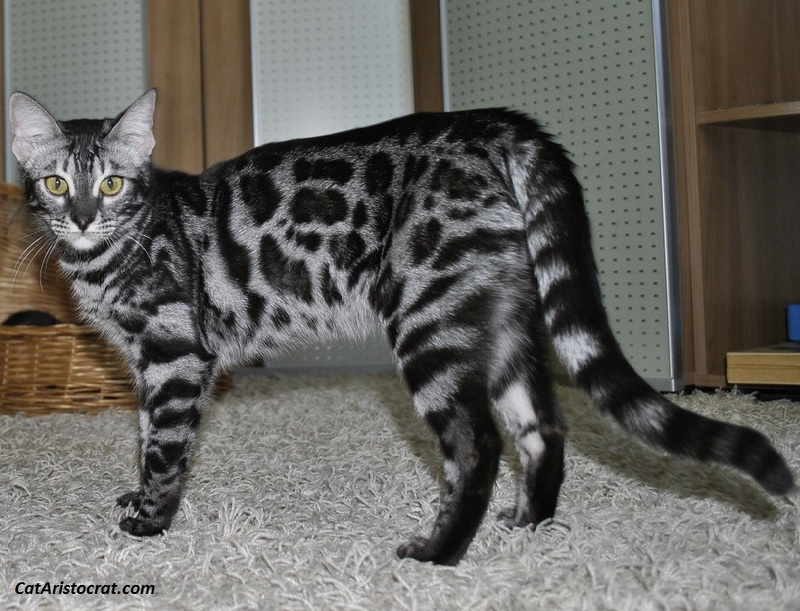 In order to get better results, my family & I have decided to concentrate our activity on silver Charcoal Bengal cats. Our cats live with us as family members. Experienced vets, whom we may contact 24/7, care for and vaccinate them. At home they enjoy the most favourable environment to develop properly, including scratching posts, toys and houses. Whether sluggish or tireless, our little hellions will find their needs met and will be able to express their own character. We keep them surrounded by classical music and/or natural sounds which helps in their development.